Exclusive hand fabricated pieces that combine intricate filigree and strong design elements. For an elegant yet bold look. 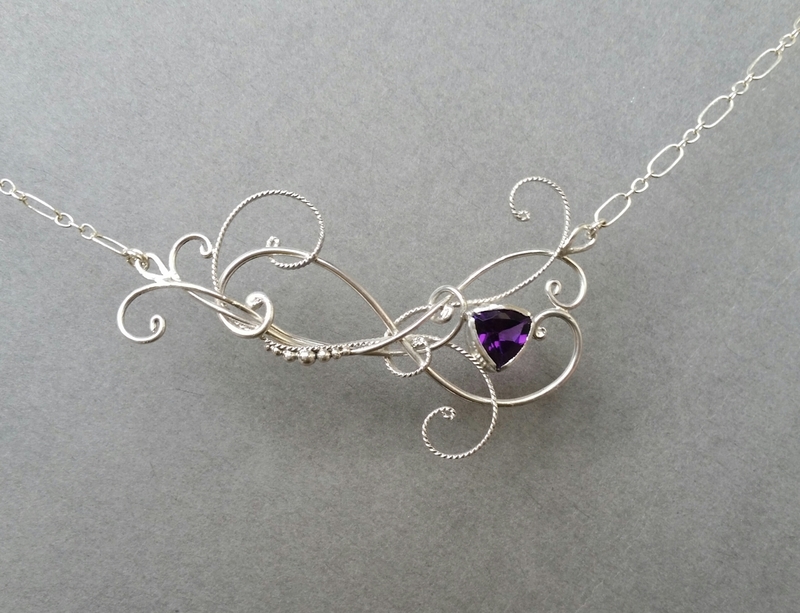 Handmade Sterling Silver filigree necklace with trillion cut Amethyst. Chain is 18 inches long, but can be fastened on the larger links, so it can be smaller if desired.